It would be cool to be able to insert the day of the week into things like the legal contract. That helps people confirm things, like 'Your rental begins on Saturday, July 29, 2017'. Great idea! 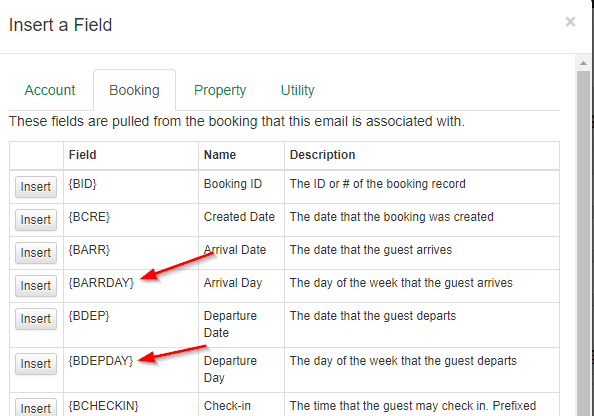 I got this in to our most recent update, so if you go to Insert Field you'll now see fields for the day of the week as well as the full date. You are one fast mamma jamma! Thanks!